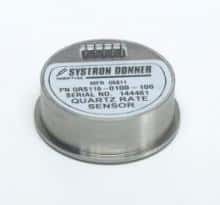 Systron Donner Inertial (SDI) is a leading supplier of Quartz MEMS Inertial Sensing Products and Systems. SDI has over half a century of experience supplying innovative angular rate sensors, linear accelerometers, inertial measurement units and INS/GPS designs to military and commercial customers. SDI continuously develops new innovative breakthrough products which enable advanced performance in critical Guidance, Navigation and Control (GN&C) applications, including Unmanned Aerial Vehicles (UAVs), Unmanned Ground Vehicles (UGV), Remotely Operated Vehicles (ROV) and Robotic Control systems. The SDN500 GPS/INS tactical grade navigation system combines latest generation quartz gyros, quartz accelerometers, high speed signal processing and a 48-channel Coarse/Acquisition (C/A) Code GPS receiver. This powerful, tightly coupled Guidance and Navigation System delivers a reliable 3.9 meter Spherical Error Probable (SEP) GPS-aided accuracy, and SDI’s proprietary Quartz MEMS Inertial Sensors maintain precision accuracy in the event of loss of GPS tracking. SDN500 GPS/INS is ideal for a navigation, guidance and control of unmanned air and ground vehicles, for precision targeting and positioning. SDI500 is the first MEMS-based Inertial Measurement Unit (IMU) to demonstrate true tactical grade performance with 1°/hr bias stability and very low 0.02°/√hr angle random walk. SDI500 is rated for rugged military environments, with continuous Built-in Test (BIT), configurable communications protocols, electromagnetic interference (EMI) protection, flexible input power requirements and multiple output data formats. The QRS28 is a small, lightweight, two-axis MEMS rate sensor offering exceptional performance at a very attractive price. 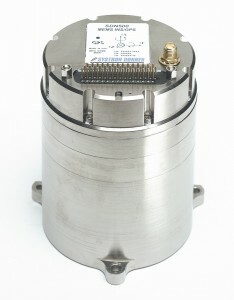 The sensor provides a simple DC-DC operation using two of Systron Donner Inertial’s quartz rate sensors. The instrument provides reliable performance in demanding applications, such as missile seeker gimbal stabilization, and contained within a hermetically sealed stainless steel cylinder. 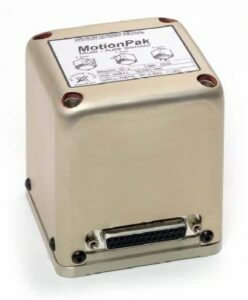 The MotionPak® is a solid-state sensor cluster used for measuring linear accelerations and angular rates in instrumentation and control applications. 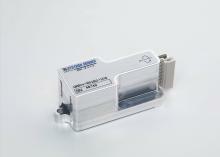 It is a highly reliable, compact, and fully self-contained motion measurement package with analog voltage outputs. The unit couples three SDI solid-state MEMS angular rate sensors with three high performance linear accelerometers, producing a true Six Degree of Freedom (6DoF), fully self-contained inertial sensing system with internal power regulation and signal conditioning electronics. 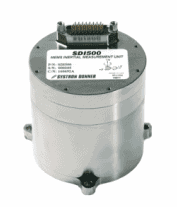 The SDD3000 is a high performance, digital, single-axis gyroscope that meets state-of-the-art systems requirements for precision accuracy, low noise angular rate sensing. The unit incorporates an advanced Quartz MEMS sensing element and is optimized for applications that require low noise and excellent stability over changes in temperature and through vibration. The SDD3000 provides a temperature compensated output with unprecedented bias stability and durability. 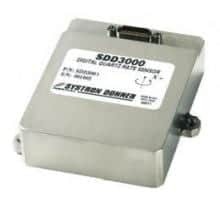 Ideal for rugged ground vehicle and aerospace applications, the SDD3000 is an extremely versatile rate gyro that requires very little configuration and integration time into new or retrofit applications. Boasting a small size, light weight and very low power consumption, the SDD3000 is truly a leader in its performance class. The QRS116 meets state-of-the-art systems requirements for very high accuracy, very low noise angular rate sensing. The QRS116 is a form, fit and function-enhanced alternative to the popular, highly-reliable QRS11. Using a next generation version of Systron Donner’s unique quartz micro-machined sensing element, the QRS116 delivers excellent bias stability, signal to noise ratio and vibration performance characteristics in a small, lightweight package. With no moving parts and no scheduled maintenance, the QRS116 provides reliable service and low total cost of ownership. 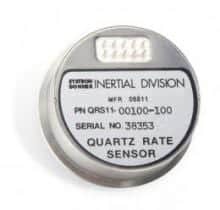 The QRS11 is a compact, lightweight, solid-state gyro providing reliable, extremely accurate angular rate measurements. With no moving parts, the quartz sensing element has a virtually unlimited life while providing outstanding signal to noise performance. The QRS11 is exceptionally small and consumes very little power. With a hermetically sealed sensing element, the unit is suitable for aircraft, missile and space systems across many demanding application environments. 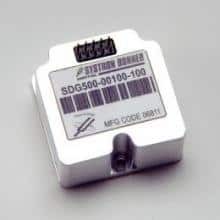 The SDG1400 is a single-axis angular rate sensor that provides exceptional performance within demanding commercial and aerospace applications. Utilizing an advanced Quartz MEMS inertial sensing element, it provides superior bias stability and repeatability, with a small, rugged package and fully self-contained electronics. 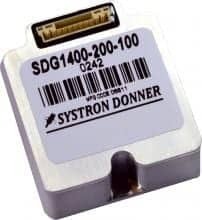 The SDG1400 is a commercial, off the shelf product with no moving parts, providing fast start-up, very low noise and high bandwidth with exceptional MTBF performance. The SDG500 single-axis angular rate sensor provides exceptional performance versus similar sensors in its class, with a lower noise capability superior to silicon-based gyros. The SDG500 single axis gyroscope utilizes SDI’s proven Quartz MEMS sensing technology housed in a compact, rugged enclosure, providing virtually unlimited life. The SDG500 has an on-board temperature sensor which allows the user to enhance performance via thermal modeling and correction, and with a simple DC input and high level DC output, the SDG500 will integrate quickly and simply into most systems. The QRS14 is a compact, rugged, solid-state inertial sensor used to measure angular rotation rates. It features a monolithic quartz sensing element, combining excellent vibration, noise, and virtually unlimited life. The QRS14 has internal power regulation and DC input/high-level DC output operation, and is available in two different model variations suitable for either a positive or dual-power supply. 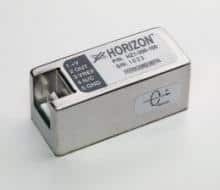 The Horizon™ is a compact, reliable, solid-state gyroscope designed for use by original equipment manufacturers (OEMs) and system integrators. 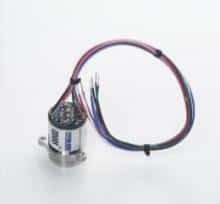 The unit features a monolithic quartz sensing element, internal power regulation and a simple interface, providing a high-level +0.5 to +4.5 Vdc output signal. The HORIZON™ features excellent vibration performance, low noise and long life reliability. By submitting this form, you consent for your details to be sent to Systron Donner Inertial and its authorized partners in order to respond to your inquiry. Depending on the location of the organization, your personal information may be transferred and processed outside of the European Economic Area.